With green & pink you can't go wrong. Those two colors compliment each other really nicely. Actually this is the prototype of my latest chevron pillow design. I started to make this one before the two multicolored chevron pillows. While I was working on this green & pink project, I imagined the chevron pattern would look cool with lots of colors too. And eventually I finished the multicolored ones first. 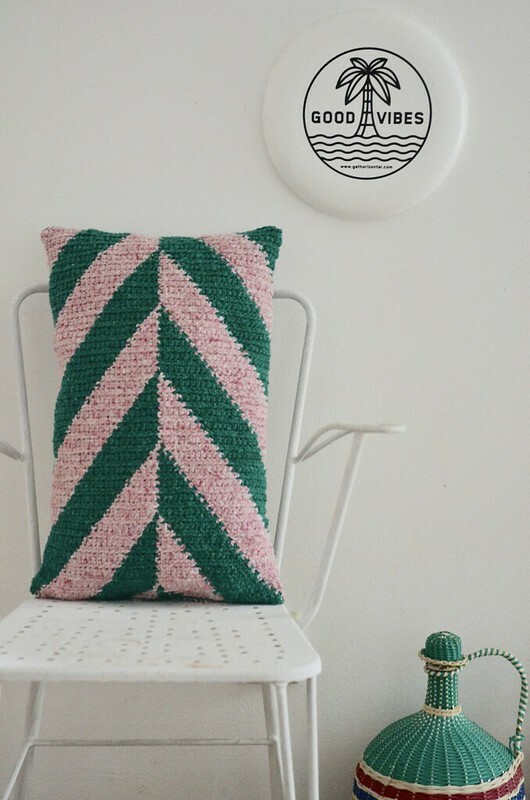 Using only two colors, this green & pink pillow is quite a bit easier to make, also for beginners. You can download the CHEVRON PILLOW PATTERN in my Etsy shop.